REGIONAL SCREENINGS FOR TROJAN FILM! 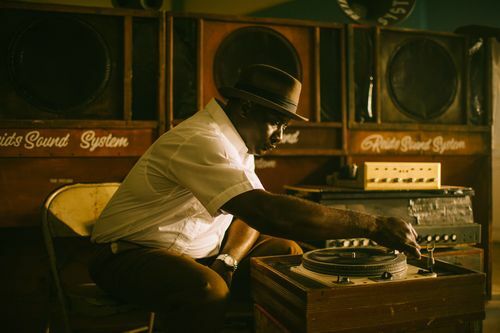 The award-winning documentary Rudeboy: The Story Of Trojan Records is to receive a series of regional screenings from this week. Director Nicholas Jack Davies’ film about the British reggae, ska, rocksteady and dub label – which celebrated its 50th anniversary this year – was premiered earlier this month at the Doc’n’Roll Film Festival and received the festival’s Jury Prize, judged by Geoff Travis (founder of Rough Trade Records), Estella Adeyeri (musician and sound engineer), Kirsty Allison (poet and music journalist), Oli Harbottle (Dogwoof film distributors) and Jess Partridge (PRS Foundation and London in Stereo). The film will now go on tour, visiting Nottingham, Birmingham, London, Edinburgh and Dublin. Full details are…. NOTTINGHAM PREMIERE – Friday 30th Nov 20:00 – Broadway Cinema, NG1 3AL – FREE after-party! Tickets for all screenings are available here. ‹ LAST GREAT DREAMERS’ POWERPOP TOP 10!